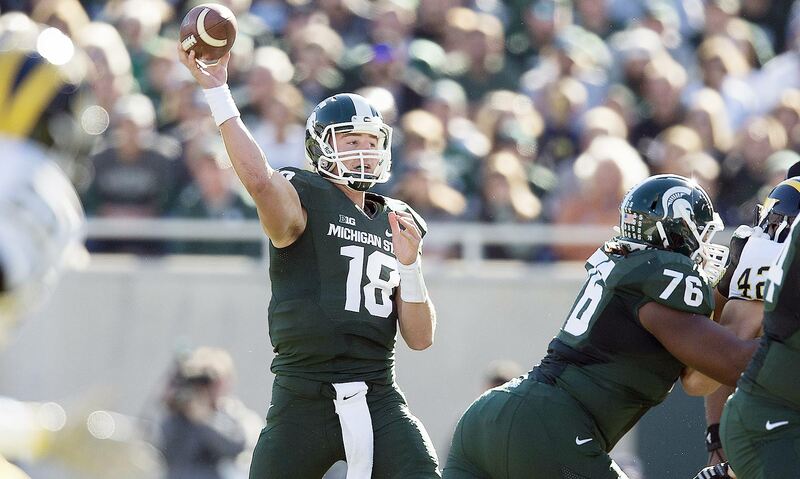 2015 Big Ten football preview: Will Ohio State or Michigan State be pushed in the conference title race? After an off-season spent celebrating a national title, welcoming in the splashiest hire of this year’s coaching carousel and enjoying its biggest surge of momentum in nearly a decade, the Big Ten must finally put its rising reputation to the test. The conference widely assumed to be shut out of the playoff after Week 2 of the 2014 season enters this fall with realistic hopes of putting two teams in the top four. Behind them, two powerhouse programs that fell into declines appear poised to begin their ascents back to dominance while two new coaches in the Big Ten West hope to make strong first impressions. Maryland and Rutgers both made successful debuts in their new conference last season but now face uphill battles to maintain that success in Year Two. And a Northwestern program that seemed on the rise after ’12 must now fight to avoid its third straight season without a bowl appearance. So how will these storylines and more play out in 2015? The most compelling storyline of the college football offseason centered on who would win Ohio State's starting quarterback job. With Braxton Miller moving to h-back, J.T. 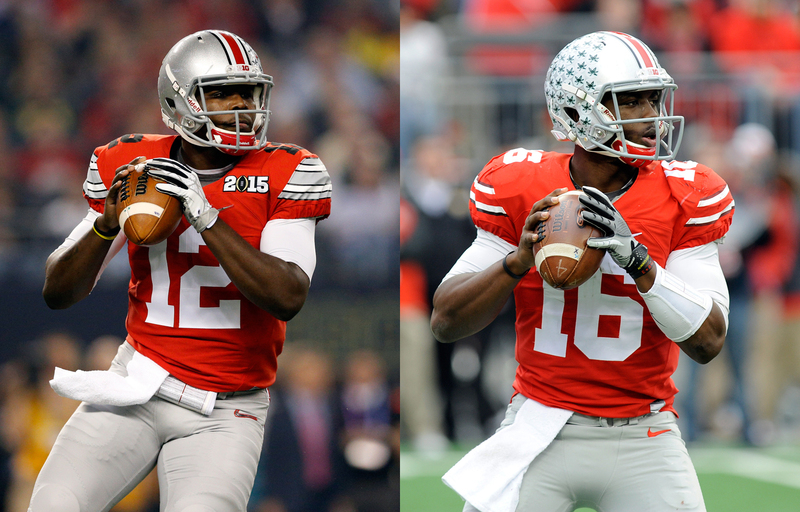 Barrett and Cardale Jones will compete for the right to run the Buckeyes' first-team offense. Jones led Ohio State to a national title, but Barrett flashed immense potential during the regular season. 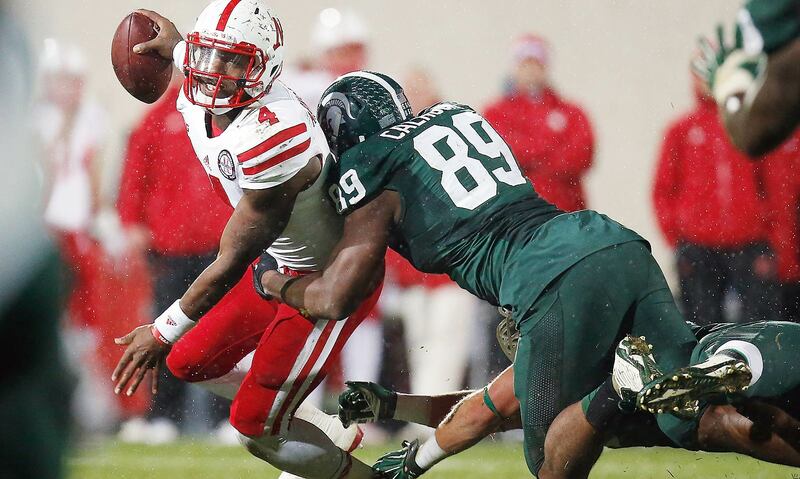 Calhoun enters his final season as one of the lynchpins of Michigan State's stellar defense. The defensive lineman is a menace in the backfield as evidenced by his eight sacks and 12.5 tackles for loss in 2014. 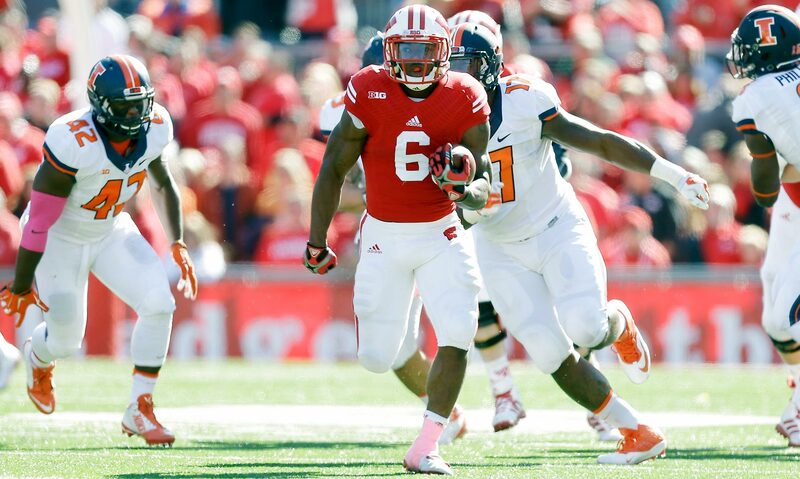 Clement ran for over six yards per carry and nine touchdowns last season when spelling for Heisman finalist Melvin Gordon. With Gordon off to the NFL, Clement is set up to become the latest in the long line of successful Wisconsin running backs. 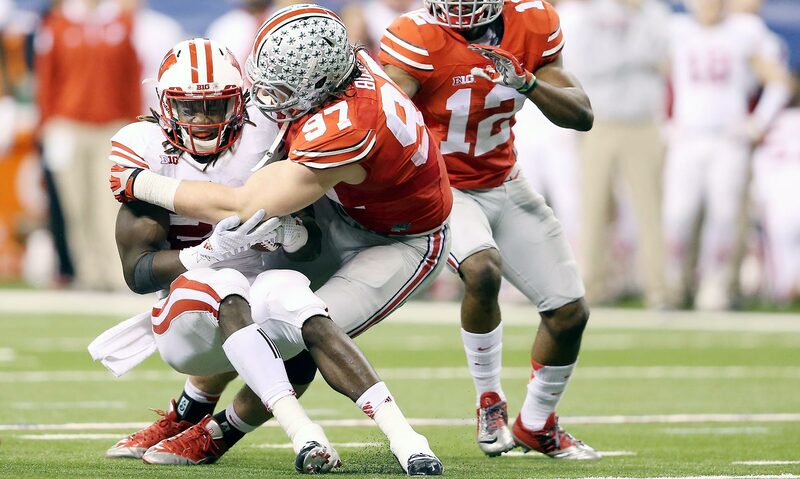 Bosa was an integral part of the Ohio State defense that limited Heisman winner Marcus Mariota and shut out Wisconsin. The rising junior has 21 sacks in two seasons, and his knack for forcing fumbles coming off the edge continues to make him a nightmare for opposing quarterbacks. Hackenberg struggled last season in his first year under James Franklin and behind a shaky offensive. But the Nittany Lions' signal caller shined when he started as a true freshman, and another year under Franklin's tutelage in addition to much needed improvements in protection should help to bring out the talent in the former five-star recruit. Elliott was last seen bowling over Oregon defenders in a dominant performance in Ohio State's national championship win. The rising junior ran for over 200 yards in each of the Buckeyes' last three games of 2014, and he could reach 2,000 yards this year if Meyer goes to him early and often. Cook has helped the Spartans go 23-3 over the last two season, including wins in the Rose Bowl and Cotton Bowl. He likely would have been the No. 3 quarterback in this year's draft class. Instead Cook's return to East Lansing makes Michigan State the biggest threat to Ohio State for the Big Ten title. Lee returned from an injury that ended his freshman season to become a vital part of the Buckeyes' defense last year. His athleticism made him a threat in coverage or in the backfield, and the young linebacker isn't afraid to hit either. 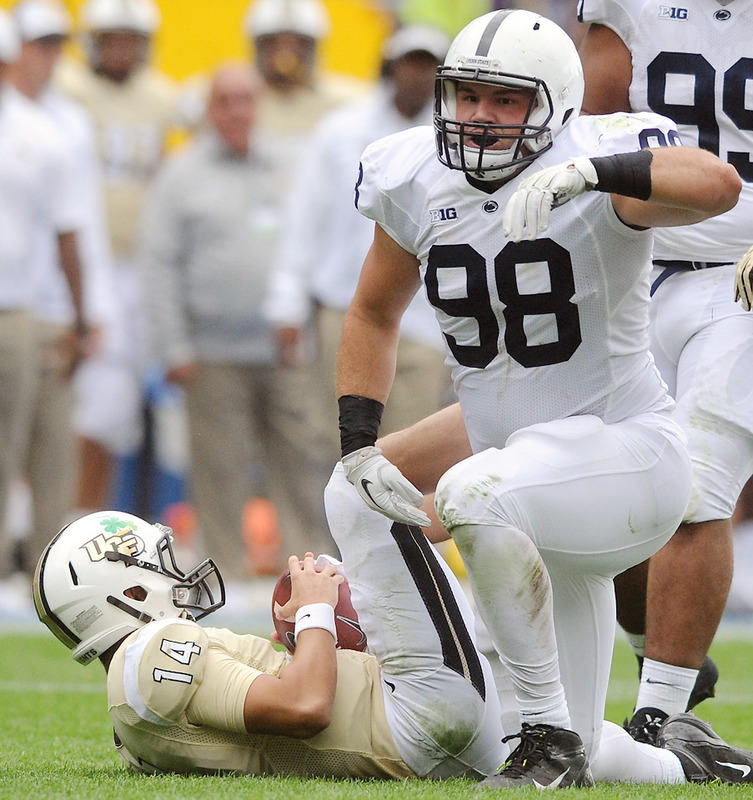 Zettel returns to Happy Valley for another season despite drawing the attention of NFL scouts with his play in 2014. The defensive lineman recorded eight sacks and 15 tackles for loss. His ability to wreak havoc in the backfield will be key in a conference loaded with talent at quarterback and running back. Decker is an absolute load along the offensive line for the Buckeyes. He not only paved the way for Ezekiel Elliott's late-season exploits, but he was also able to keep all three of Ohio State's quarterbacks relatively clean in the pocket. 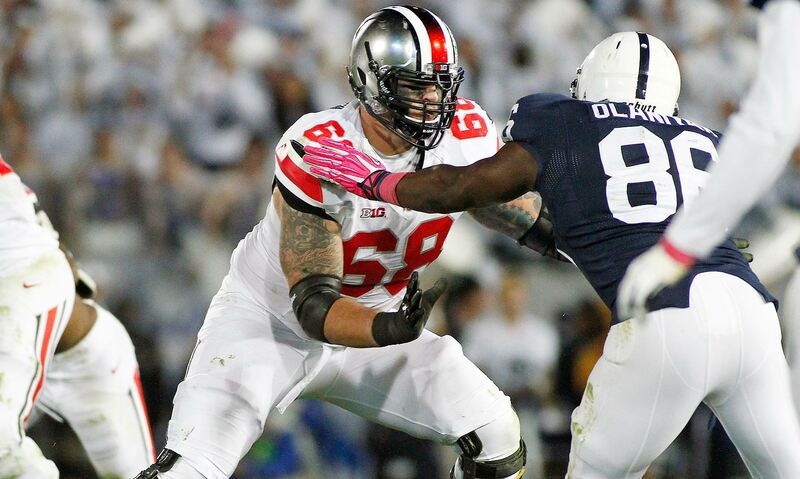 Decker's dominance on the line should help the Buckeyes' high-powered offense continue to shine this fall. The Badgers face the easiest conference schedule in the Big Ten, drawing Maryland and Rutgers in crossover games in addition to its intra-division slate against the weaker West Division. Before opening league play, however, Wisconsin will pack plenty of strength-of-schedule points into its season opener against the Crimson Tide. Although Alabama will be the heavy favorite, the Badgers could make a strong statement simply by keeping it close with the defending SEC champions. If Wisconsin can pull off the upset, it has a good chance to finish the regular season undefeated. The Buckeyes’ opener already had plenty of appeal simply by being their first game since they won the national title and coming against the only team who beat them last year. The suspensions to Joey Bosa, Jalin Marshall, Dontre Wilson and Corey Smith add further intrigue by renewing questions of whether the Hokies could win again. This will also be the world’s first chance to see Braxton Miller in action at receiver. The absence of Marshall, Wilson and Smith means Miller could be vital in his new role. The Spartans missed the College Football Playoff last year due to two losses to teams who did make the playoff. 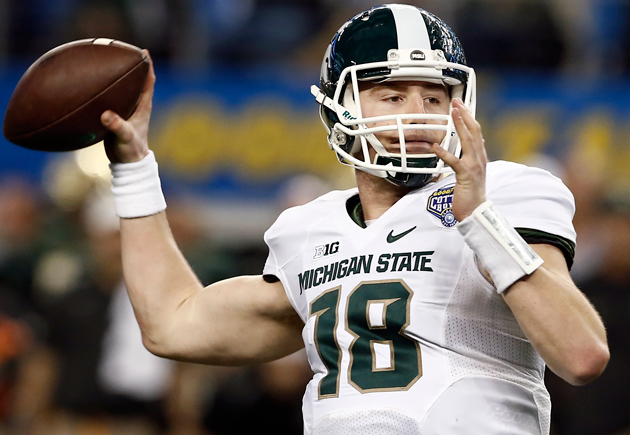 Michigan State’s 2015 fate likely comes down to rematches against those two teams. Unlike its matchup with Ohio State, which moves from Spartan Stadium to the Horseshoe, Michigan State gets the Ducks in East Lansing this year. A win here could give the Spartans the flexibility to lose to the Buckeyes and still make the playoff. Nebraska poses the biggest threat to Wisconsin in the Big Ten West, and with this game coming early in conference play, it could set the tone for the division race. The Cornhuskers face a more difficult road through the rest of the conference slate; they travel to Minnesota a week later and host Michigan State on Nov. 7. If they don’t win this game, they’ll have a tough time playing catch-up. While the Big Ten East figures to be a two-team race this year, both of these programs appear to be on the rise and could soon challenge Ohio State and Michigan State for conference supremacy. So consider this year’s matchup between the Wolverines and Nittany Lions a battle to become the No. 1 contender to the division’s top two teams. There’s no doubt this is the Big Ten game of the year. The Spartans appeared to have the upper hand in last year’s matchup as the higher-ranked team and playing at home. The Buckeyes’ road to the playoff began with their 49–37 upset, sparked by Barrett’s greatest performance of the season. Both teams will likely be in the playoff hunt again when they meet this year, and they could both boast undefeated records as well. 1. Can Ohio State live up to the hype? Plenty of reigning champions have entered the following season as the clear favorites to win again only to fall short of such lofty expectations. Florida State did so just last year. So can a team that was thought to be a year away last year overcome complacency to win again? The Buckeyes seem to have all the pieces, and Urban Meyer may have learned his lesson from Florida’s 2009 season. 2. Can Jim Harbaugh’s off-field enthusiasm translate to on-field success? Michigan’s highly touted new coach won the off-season with his social media presence and recruiting success. But none of that will help him win games in 2015. Harbaugh’s debut squad should have a stout defense and solid running game with De’Veon Smith, Derrick Green and Ty Isaac. But the Wolverines’ ceiling will be low if Harbaugh can’t find a solution at quarterback and improvement on an offensive line that ranked 96th in sacks allowed percentage last year. 3. Can the Big Ten continue to chip away at the SEC’s mantle? Although rivals for financial supremacy, the SEC has held the clear upper hand on the Big Ten on the field since Florida routed Ohio State to win the 2006 national championship. The Big Ten struck its first major blow back at the SEC last year when Ohio State took down Alabama in the Sugar Bowl before beating Oregon in the national title game. That was part of a postseason that saw the Big Ten claim a second New Year’s Six bowl victory courtesy of Michigan State as well as a second bowl victory over the SEC as Wisconsin beat Auburn in the Outback Bowl. With the SEC perceived to be on a downswing, the Big Ten has an opportunity to capitalize, beginning in nonconference play. 4. Which first-year coach will win the Big Ten West? Unless Minnesota’s Jerry Kill has something to say about it, the winner of the West Division will almost certainly be a coach in his debut season. Both Wisconsin’s Paul Chryst and Nebraska’s Mike Riley take over programs poised to contend. Chryst will look for talented junior Corey Clement to extend Wisconsin’s legacy of running back stardom, while Riley—who, along with offensive coordinator Danny Langsdorf, knows how to build an offense through the air—has a strong arm to work with in Tommy Armstrong. 5. Is this the year Penn State puts its sanctions behind it? The Nittany Lions are no longer under NCAA sanctions from the Jerry Sandusky scandal, but as USC can concur, the harm of the sanctions can linger long after they’ve officially been phased out. Penn State swooned in 2014 (though still won a bowl game) as its lack of depth, especially on the offensive line, caused the offense to struggle. But a premier defense led by star defensive tackle Anthony Zettel provides hope for a breakthrough 2015 campaign—as long as quarterback Christian Hackenberg gets the protection he needs to rebound.